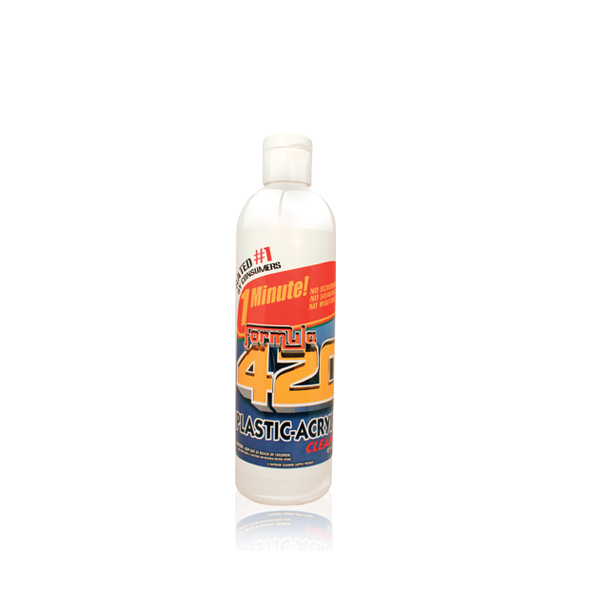 Formula 420 covers all ends with their plastic and acrylic cleaning solution. Part of their 1 minute cleaning line this solution works fast without the need for scrubbing or soaking. This Formula 420 solution is made with non toxic and biodegradable ingredients. 1 x Formula 420 Plastic Acrylic Cleaner 12 oz.